... Given Chiquita’s underhanded record in Central America and Colombia it’s not a surprise that the company later sought to ally itself with COHEP in Honduras. In addition to lobbying business associations in Honduras however Chiquita also cultivated relationships with high powered law firms in Washington. According to the Center for Responsive Politics, Chiquita has paid out $70,000 in lobbying fees to Covington and Burling over the past three years. Covington is a powerful law firm which advises multinational corporations. Eric Holder, the current Attorney General, a co-chair of the Obama campaign and former Deputy Attorney General under Bill Clinton, was up until recently a partner at the firm. At Covington, Holder defended Chiquita as lead counsel in its case with the Justice Department. From his perch at the elegant new Covington headquarters located near the New York Times building in Manhattan, Holder prepped Fernando Aguirre, Chiquita’s CEO, for an interview with 60 Minutes dealing with Colombian death squads. "Eventually, though, with Holder’s assistance Chiquita and the Justice Department came to an agreement in which the fruit company would pay a $25 million fine - the price of the company’s sale of Banadex, its Colombian subsidiary - for having made payments to a foreign terrorist organization. The fine’s proceeds went to the U.S. Treasury. ... "
After President-Elect Obama revealed that Eric Holder would be his choice for attorney-general, several observers raised questions about the nominee’s role as a private lawyer defending Chiquita Brands, the U.S. fruit company. Holder helped Chiquita negotiate a plea agreement with the Justice Department for the years of payoffs that the company made to paramilitary groups in a part of Colombia where the right-wing militias massacred hundreds, perhaps thousands, of civilians. The story here is that after the Clinton administration drew to a close Holder, a former Clinton assistant attorney-general, went into private practice at the Covington and Burling law firm, where his clients included Chiquita. In 2003, Holder led the legal team that advised the fruit company to admit to the U.S. Justice Department that it had been making payments to the murderous United Self-Defense Forces of Colombia (AUC) since 1997 - a relationship that started out as “protection” money but went on way too long. The payments, which finally stopped in 2004, totaled about US$1.7 million to a group that, as of September 10, 2001, was on the State Department’s list of foreign terrorist organizations. Oddly, as the Washington Post has reported, despite the terrorism link Holder and Chiquita at first had difficulty even getting a response out of Assistant Attorney-General Michael Chertoff, who would later go on to be the Bush administration’s Homeland Security secretary. Eventually, though, with Holder’s assistance Chiquita and the Justice Department came to an agreement in which the fruit company would pay a $25 million fine - the price of the company’s sale of Banadex, its Colombian subsidiary - for having made payments to a foreign terrorist organization. The fine’s proceeds went to the U.S. Treasury. There is a widespread perception that Chiquita’s punishment was quite lenient given the link with a terrorist group responsible for mass murder. Notably, the Justice Department indictment makes no mention of a potentially more serious charge, documented in a 2003 OAS investigation: that Chiquita’s Colombian subsidiary helped run weapons and ammunition from Nicaragua to the AUC. Writing for Salon, Glenn Greenwald meanwhile makes the point that Holder should not be criticized for defending for a client, since all accused people have the right to defense counsel. Attempts to criticize a lawyer for representing unsavory or even evil clients are inherently illegitimate and wrong — period. Anybody who believes in core liberties should want even the most culpable parties to have zealous representation before the Government can impose punishments or other sanctions. Lawyers who defend even the worst parties are performing a vital service for our justice system. Holder is no more tainted by his defense of Chiquita than lawyers who defend accused terrorists at Guantanamo are tainted by that. This is true, and Holder’s defense of Chiquita should not disqualify him from serving as the Obama administration’s attorney-general. Nonetheless, there are questions about Holder’s role that the Senate Judiciary Committee should explore before deciding on his nomination. 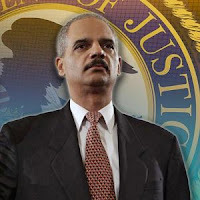 •Did Holder benefit from his contacts with former colleagues at the Justice Department in a way that allowed him to achieve a more lenient plea agreement than would have been possible for a less well-connected attorney? •What role has Holder played in defending Chiquita from a class-action lawsuit filed in 2007 by 173 victims of paramilitary violence in the Urabá region? Has he advised his client to refuse any and all demands for restitution or reparations to victims? If so, how did he justify this position? •In general, does Holder personally believe that U.S. corporations that do direct or indirect harm to citizens of a foreign country need not be held accountable to those citizens? Still, the U.S. Justice Department is likely to be dealing with Colombian paramilitary groups in several contexts, including possible future actions against U.S. corporations that may have aided them, and of course the criminal cases against fifteen extradited paramilitary leaders in U.S. custody since May of this year. In private practice, Holder sought to downplay the severity of his client’s funding of Colombia’s paramilitaries and perhaps sought to prevent or minimize reparations to victims. As attorney-general, however, Holder can do great harm to U.S. credibility in Colombia and Latin America if he is perceived to be throwing obstacles in the way of the paramilitaries’ victims’ rights to truth and reparations. Because of his past work with Chiquita, his Justice Department’s actions with regard to future paramilitary cases will deserve extremely close scrutiny.